Delegates of the ISF Dermatology Study Day can look forward to a interesting line up of expert speakers from the world of dermatology. Join us for our annual series of talks on skin conditions, which is aimed at hospital, community-based, GP practice and public health nurses, pharmacists and others involved in providing first-line management of skin conditions / diseases. The 2019 programme will cover first line management of: Burns & Abrasions; Paediatric Skin Conditions; Rosacea; Alopecia; Hidradenitis Suppurativa; and Skin Cancer Recognition. The annual event provides an exciting opportunity to learn from the experts and bring new knowledge and skills back to the workplace. Attendees will also get the opportunity to meet and talk during the event with exhibitors on new and innovative products on the market. CPD points approval pending. The ISF’s Dermatology Study Day promises to be an unmissable event so we advise people to get their ticket well in advance to avoid disappointment. The registration fee in €75.00; this includes tea/coffee and light lunch. Sleeping with psoriasis: is itching causing a poor night’s sleep in the ‘scratcher’? Recognising that the initiatives on which it had embarked could not have been achieved were it not for the endeavor of many people who had served the City of Dublin Skin and Cancer Hospital during its near century of existence, the Charity funded publication of a history of the Hospital to mark its centenary year. 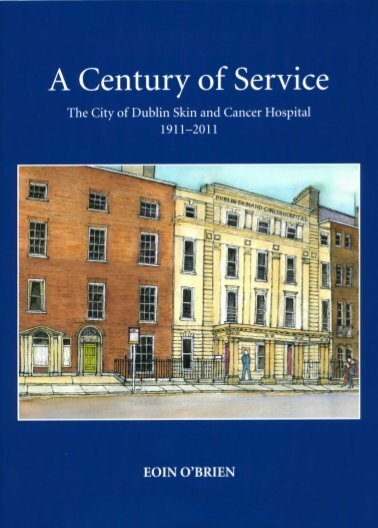 A Century of Service: The City of Dublin Skin and Cancer Hospital 1911 – 2011 by Eoin O’Brien is available from the Irish Virtual Research Library and Archive at the James Joyce Library in University College Dublin and for download in PDF format below. This work is distributed under a Creative Commons non-commercial license. Copyright and all other rights are retained by its author. For more information please visit the Creative Commons website. Charity Number: 3655. All content Copyright © 2017 The City of Dublin Skin and Cancer Hospital Charity. All rights reserved. Following the closure of The City of Dublin Skin and Cancer Hospital in 2006 after nearly a century of providing treatment to patients with skin disease and cancer from all parts of Ireland, the Dublin Skin and Cancer Hospital Charity was established to operate according to the dictates of the Charter granted to the Hospital in 1916 in administering the proceeds of the sale of the Hume Street premises.